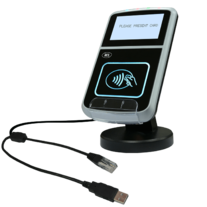 Comprehensive SDK—The ACR123S Intelligent Contactless Reader SDK enables the ACR123S to be used and integrated to various POS Terminals. 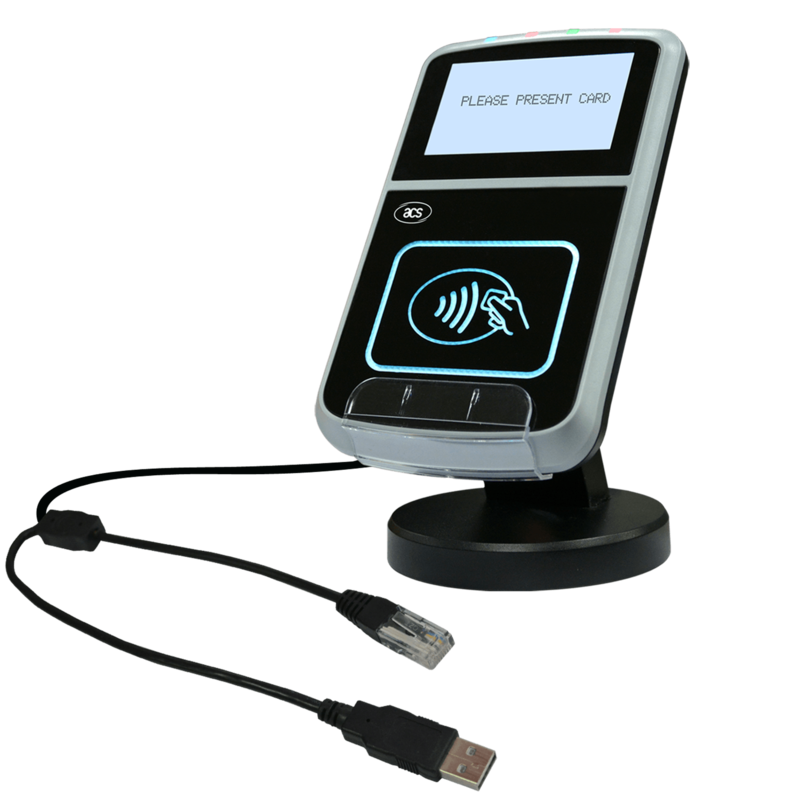 This SDK provides sample codes for device and contactless card programming for MS Visual C++, MS Visual C#.NET, WinCE Embedded Visual C++, and Linux GTK C++. The ACR123S runs using RS232 protocol with an RJ45 connector, and this SDK package includes a RJ45-DB9 adapter, to allow the developers to use the reader (connected via serial port) and software with a PC. Payment Demo—The ACR123S SDK provides a demo for the payment functionalities of the ACR123.By using the JCOP cards provided, which emulate a valid (non-expired card) and invalid card (expired card), the demo shows the various responses of the payment kernel loaded in the ACR123 to different payment scenarios. The SDK also has a manual to explain the various payment functionalities of the ACR123. The development kit is priced at only US$300.